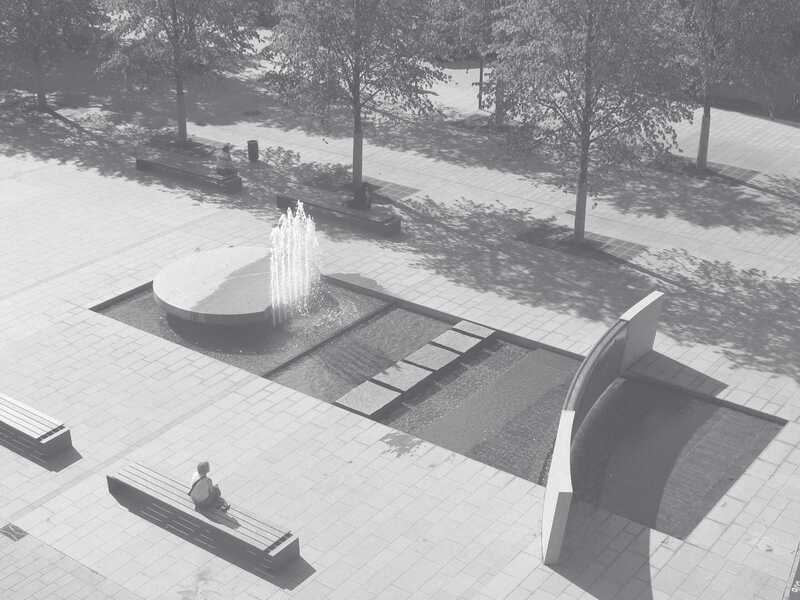 4.80 m basin of solid granite under the fountains collects the water and serves as a reservoir at the same time. 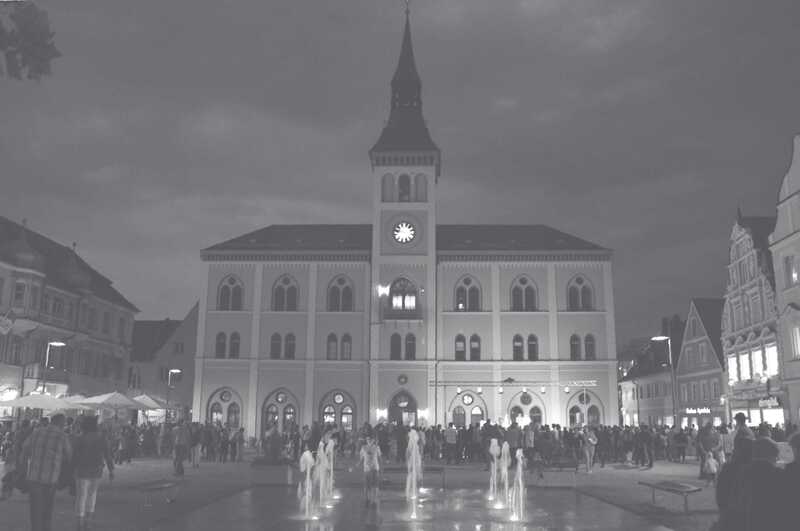 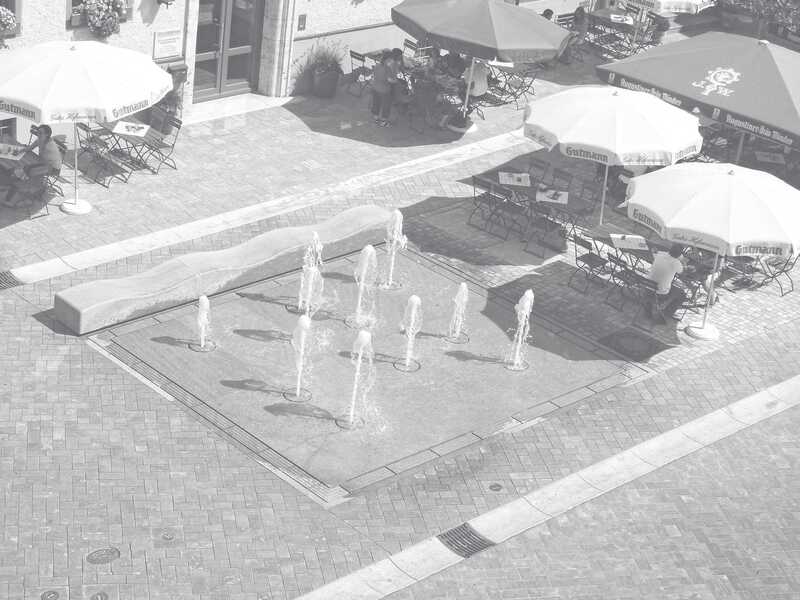 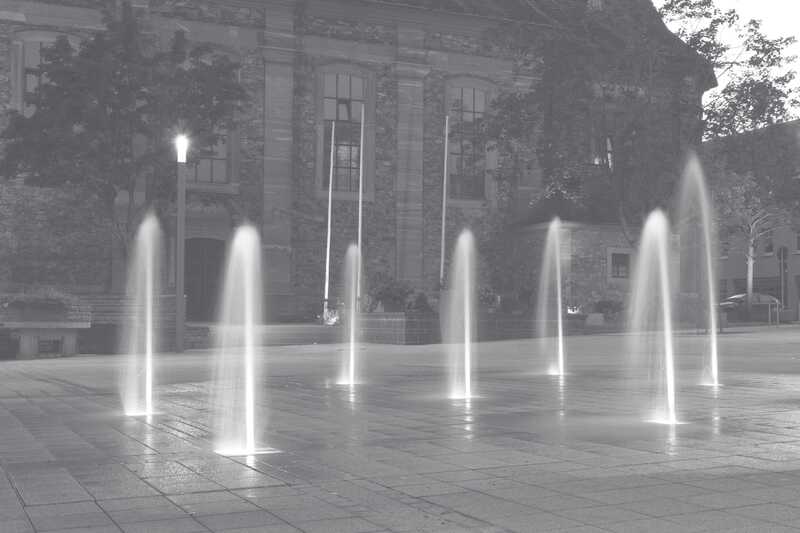 The 16 foam nozzles can be switched on and off individually and continually varied in height, offering the greatest freedom for the choreography of the fountains. 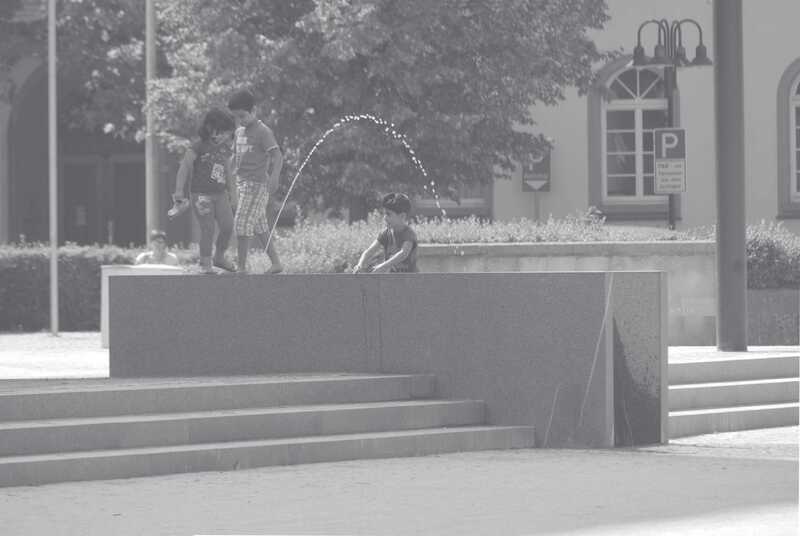 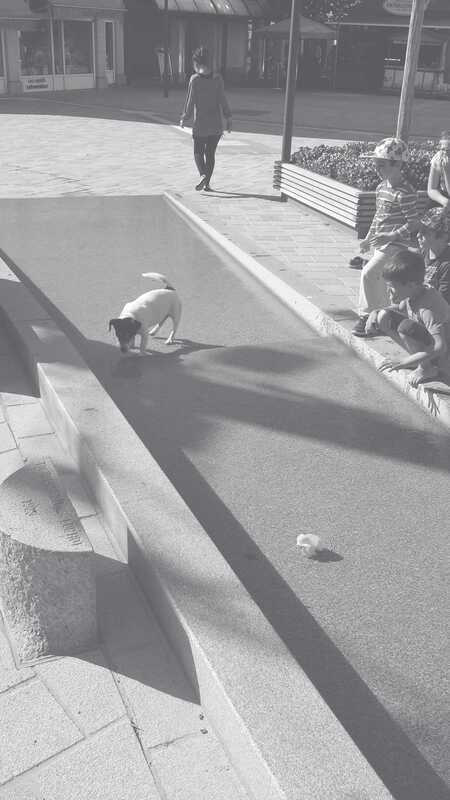 The height of the fountains is designed in such a way that even children of pre-school age are encouraged to interact with the fountain group. 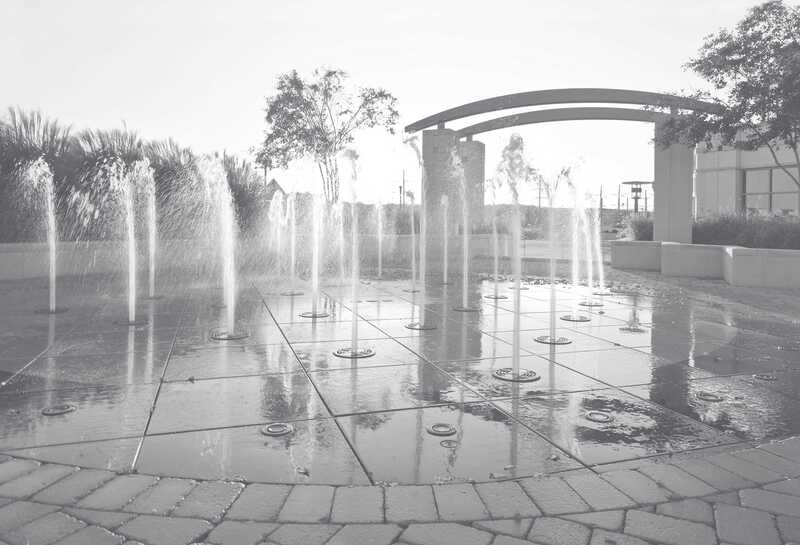 The basin, fitted with fountains, covering slabs and all outgoing connections, was prefabricated and tested at the factory. 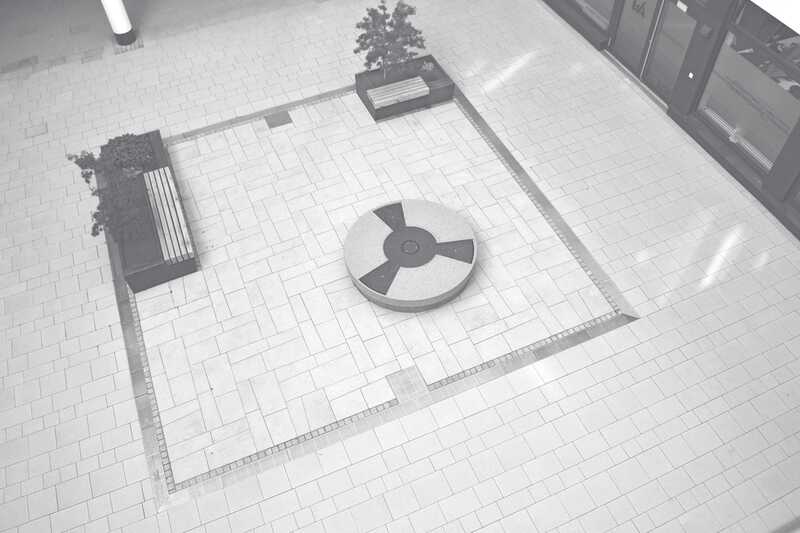 The installation of the basin on site then only took a few hours. 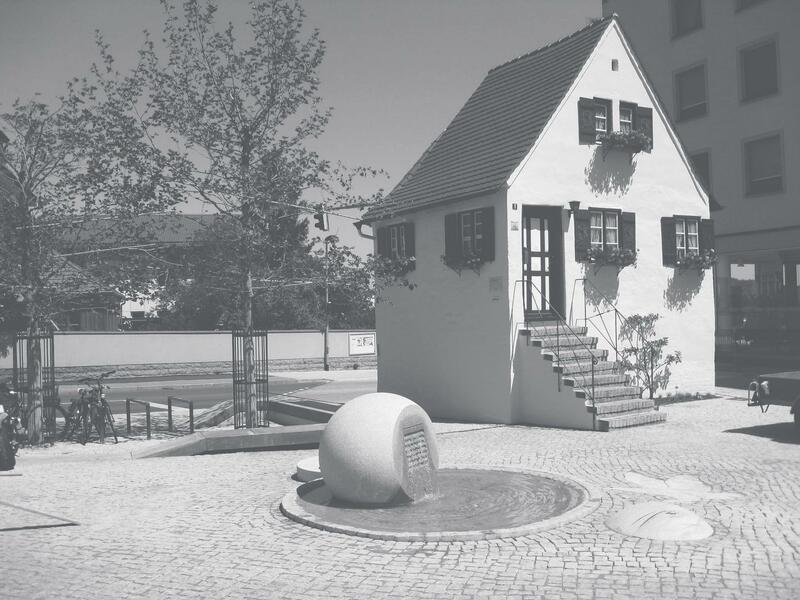 Although only a narrow working space was available, the ingoing and outgoing connections, of which there were 25, were all connected within five days. 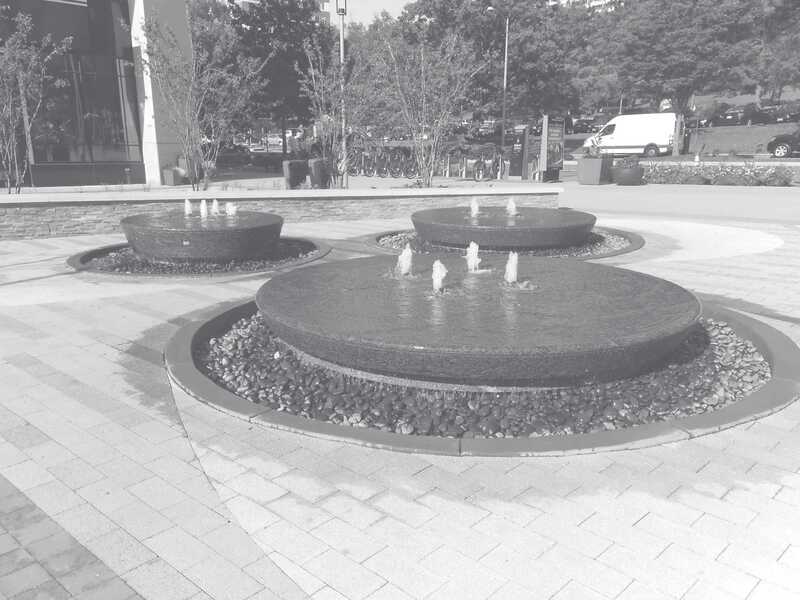 The fountain group was then ready for handover. 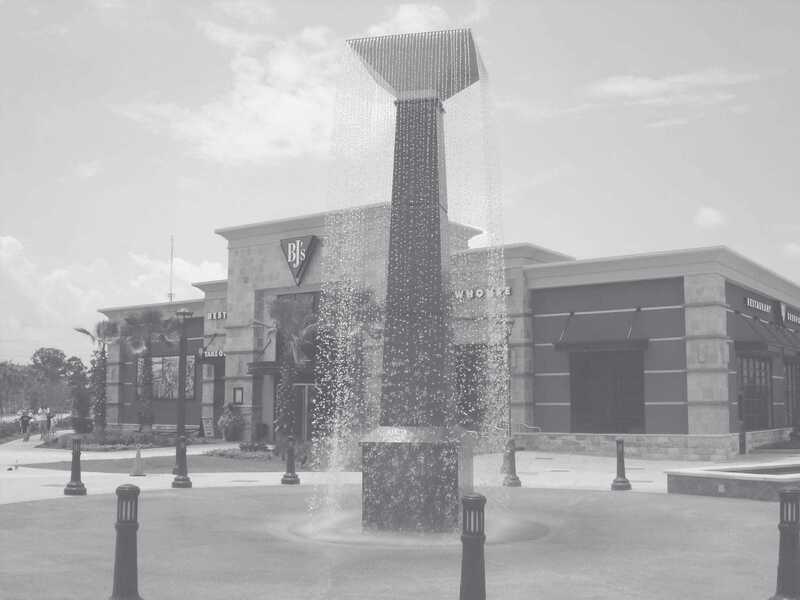 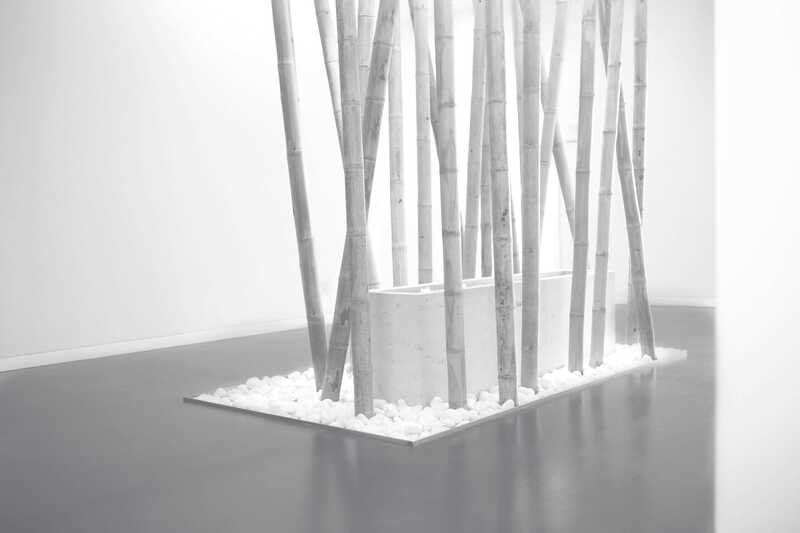 In comparison: installing the fountain on site without prefabrication would have taken 8-10 weeks. 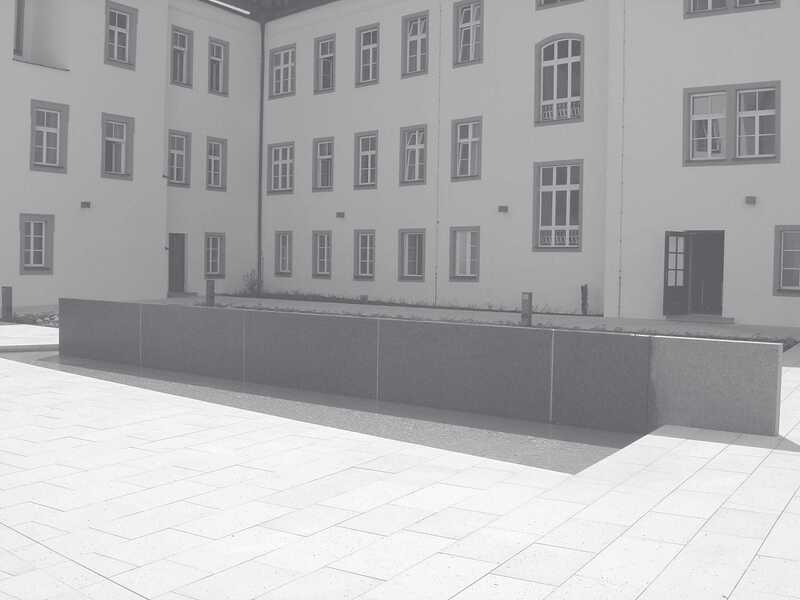 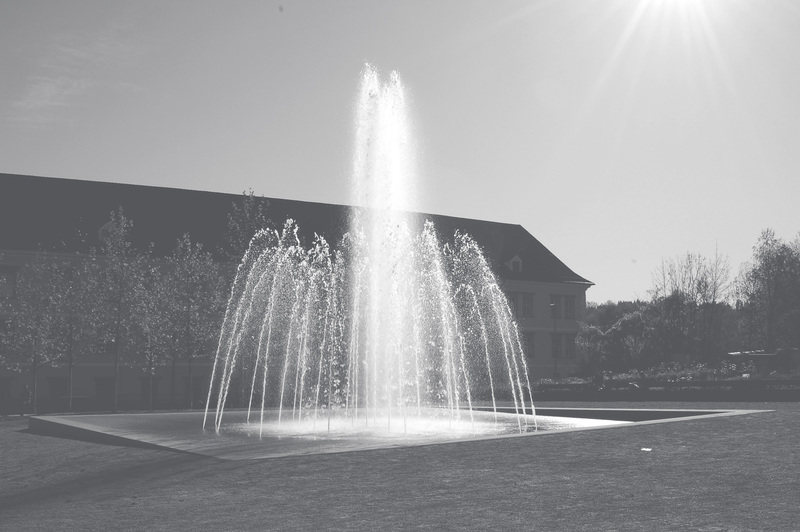 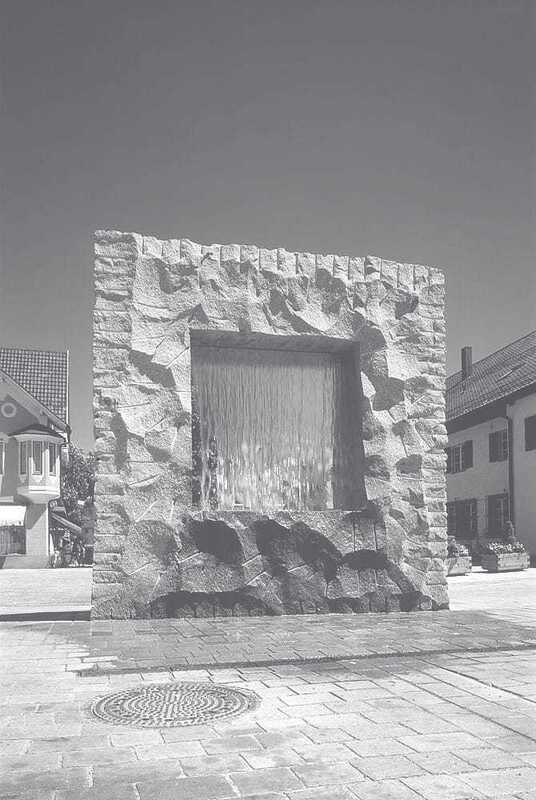 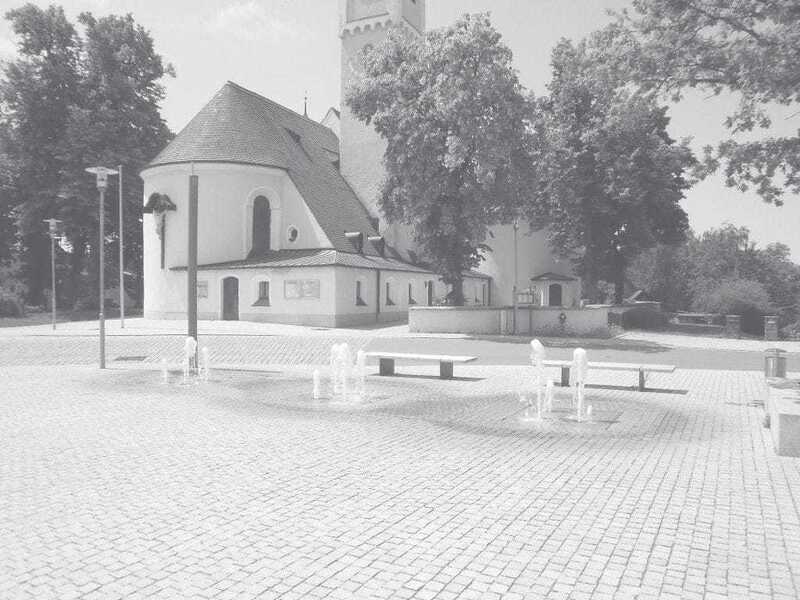 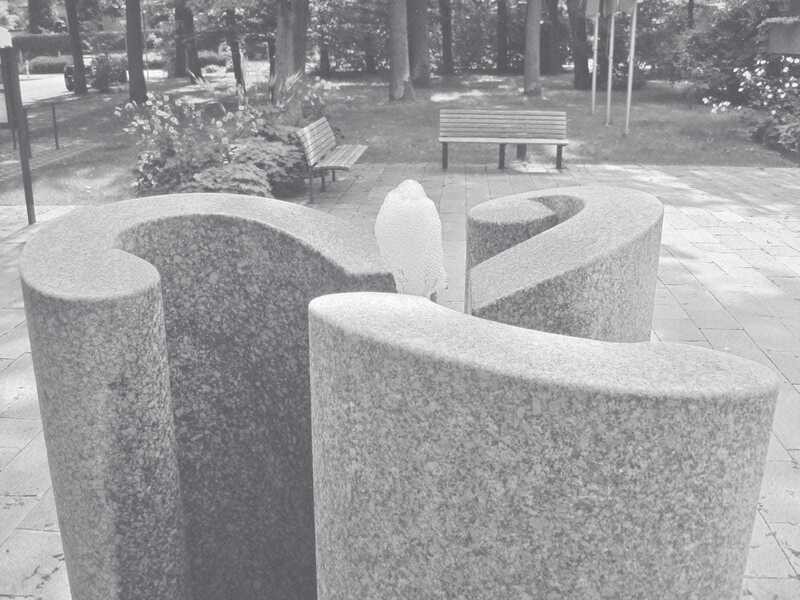 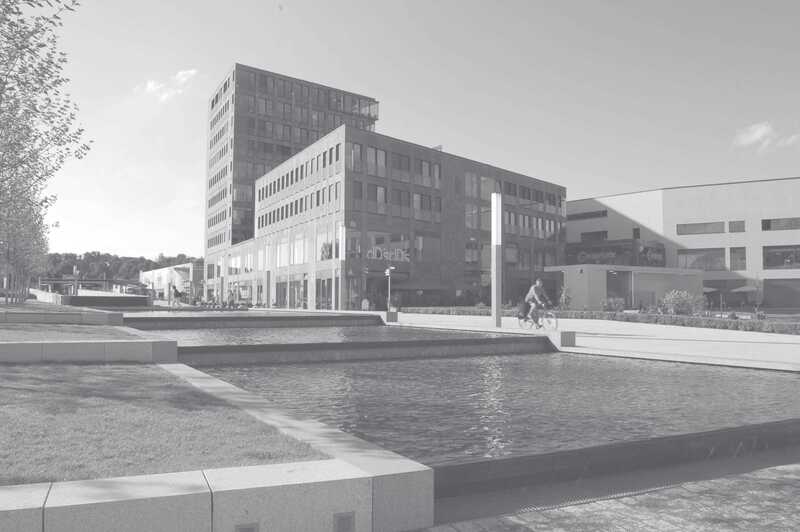 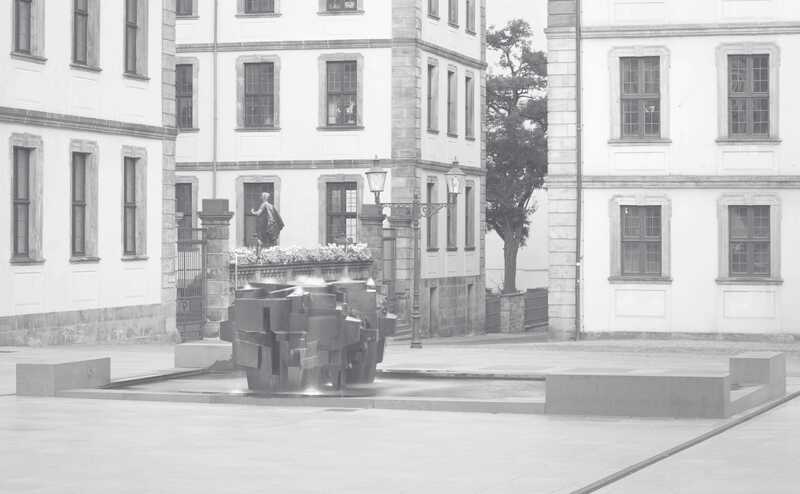 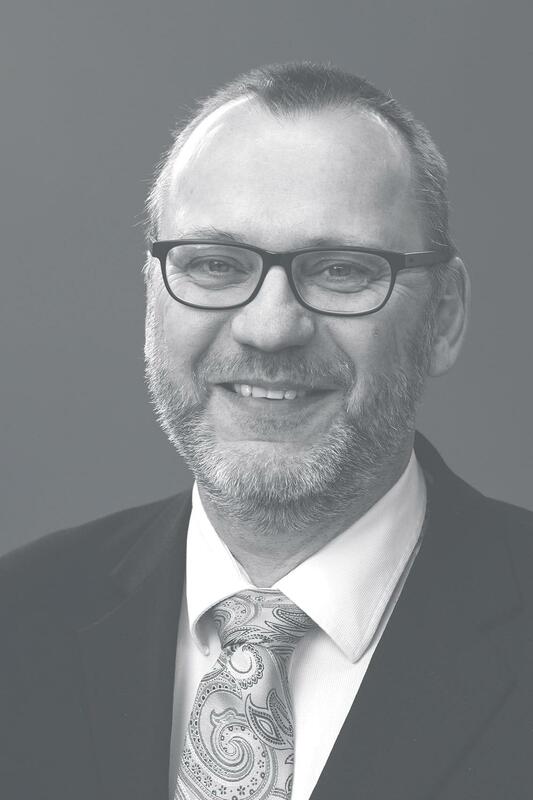 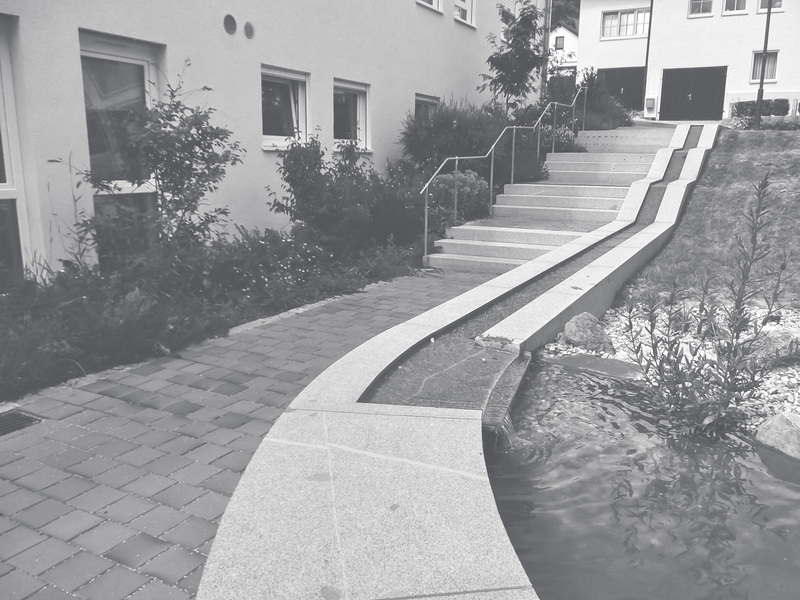 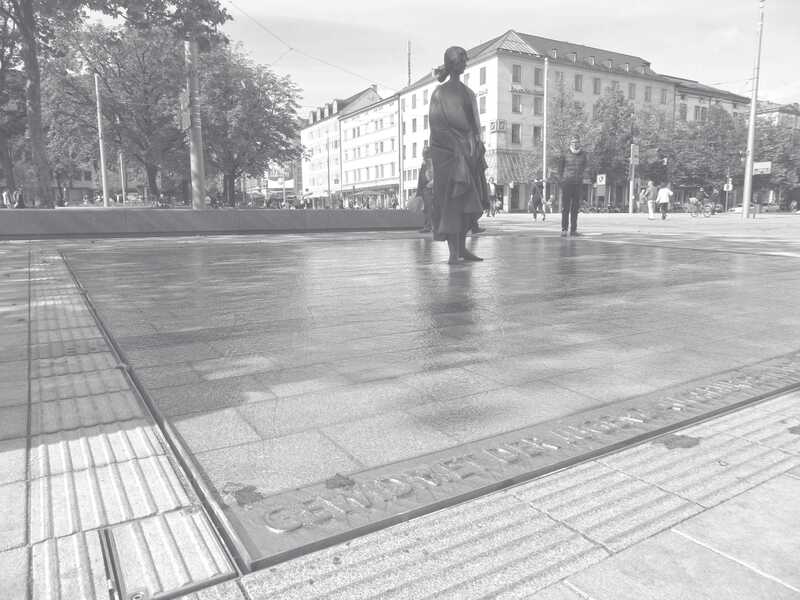 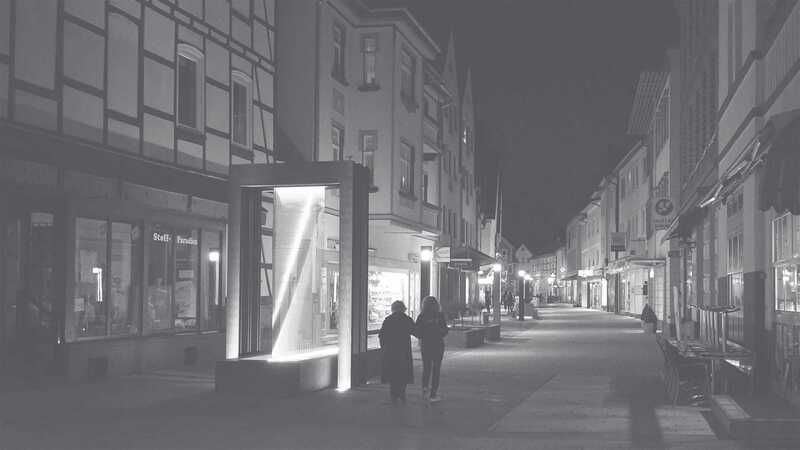 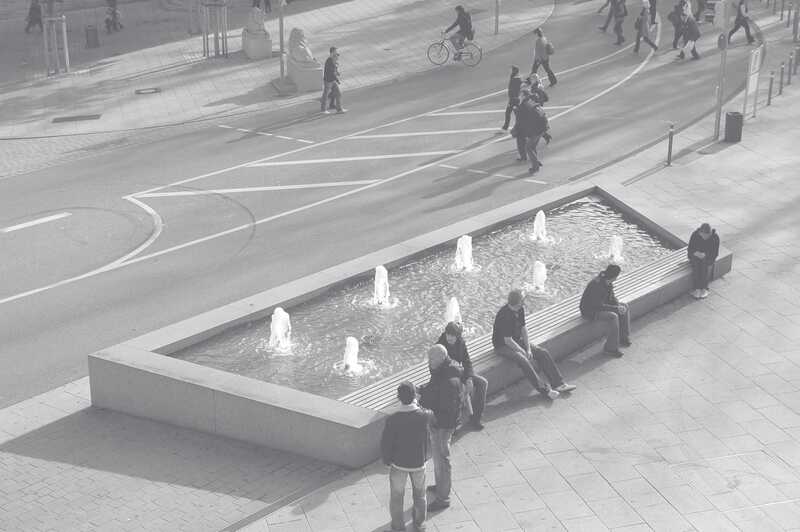 In the course of the remodelling of the university campus we also renewed the basin and the water technology of the 'Felsenbrunnen' of Georg Brenninger (1963).